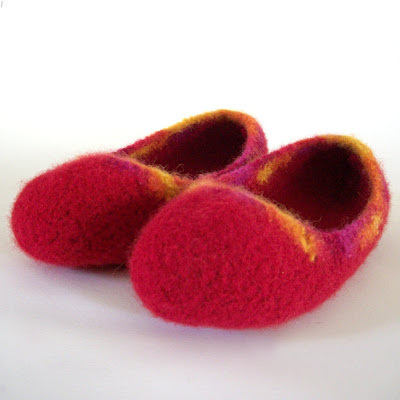 Slippers by HandmadeByAde on Etsy!! 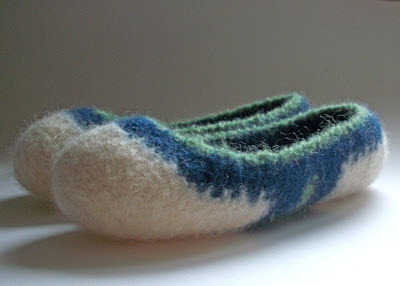 This has been a long time coming, mostly because I'm a master at procrastination, and it turns out that I'm really bad at photographing slippers. 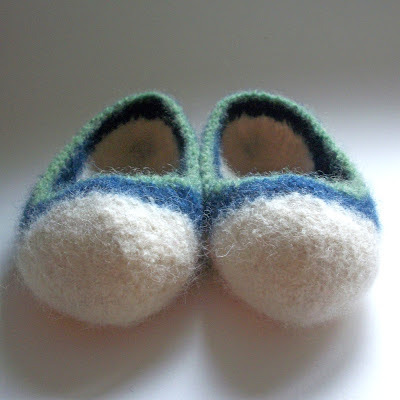 Last year I won the most fantastic pair of felted slippers ever! Adrienne from HandmadeByAde had generously hosted a giveaway from her facebook page and I was the winner! Lucky for me, and now I've been wearing these beauties every waking moment as it's getting colder here in the Northeast. I cannot recommend these slippers enough, especially if you tend to have cold toes all the time like me. My feet are so toasty and the slippers fit my feet perfectly. Need the perfect Christmas gift? This is it! Tell Adrienne I sent you, maybe this'll make up for my delayed gushing about them.